A bus crash in eastern Cuba has left at least seven people dead, including four foreigners, and dozens others injured. Two of the foreigners were from Argentina while one was from France and another from Germany. Some 33 people were injured, including citizens from the UK, the US, Canada, France, the Netherlands and Spain. The bus was travelling from Baracoa to the capital, Havana, when it crashed near Guantánamo last Thursday. The driver told local media that he was driving slowly and lost control due to a wet road. Witnesses have said he had tried to overtake another vehicle. 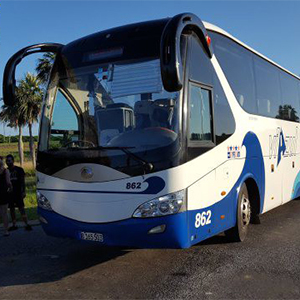 The bus from the state-owned company VI Azul was carrying 40 people, including 22 foreigners.